Happy Monday to you! Don't you love the start of a new day and week? I do. I love having a new fresh start with the new possibilities. I'm over with Mariel at Or So She Says today. 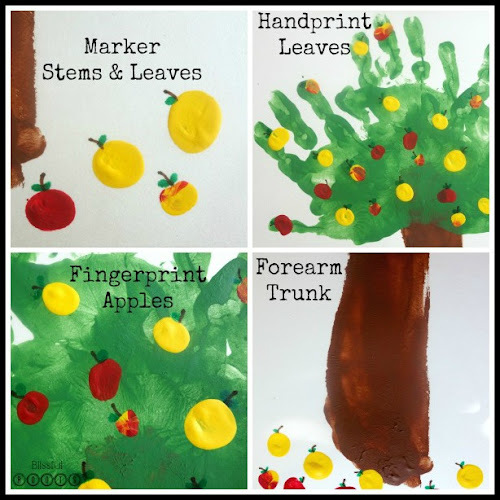 I have a fun autumn art project you can do with your kids. Click here to see the whole post and to find out how to make it. Linking up to these parties & Savvy Souther Style. Love this apple tree. Such a fun idea to do with kids. It is fun to do with kids. I just got thinking that my husband and I should make one too so we can have a whole family of apple trees. Maybe next year. Thanks so much for visiting, Tammy! Come back anytime. Have a wonderful day!